The principle objective of this report is to analysis Garments Industry of Bangladesh. Other objectives of this reports are to know the duties and responsibilities of merchandising department, to know the overall internal and external environment of Garments Industry of Bangladesh: The Challenging Ahead and Identify the major opportunity and threats of Garments Industry of Bangladesh. Finally this report make swot analysis Garments Industry of Bangladesh. Each & every study should have objectives. The objectives of my project have divided into two parts. To know the overall activities of “Garments Industry of Bangladesh: The Challenging Ahead”. To know the duties and responsibilities of merchandising department. To know the overall internal and external environment of “Garments Industry of Bangladesh: The Challenging Ahead “. The garment industry has played a pioneering role in the development of industrial sector of Bangladesh. Though it took a rather late start i.e., in 1976 but it soon established its reputation in the world market within a short span of time. 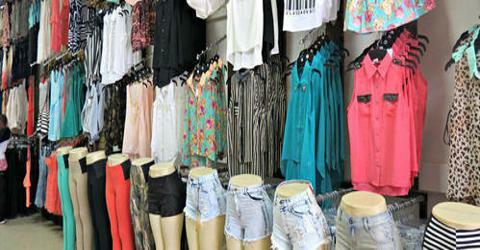 Resultantly garment is now one of the main export items of the country. Besides, enriching the country’s economy it has played a very important role in alleviating unemployment. At present there are more than two thousand one hundred garment factories in the country employing more than 12 lack labors. For Bangladesh, the readymade garment export industry has been the proverbial goose that lays the golden eggs for over fifteen years now. The sector now dominates the modern economy in export earnings, secondary impact and employment generated. The events in 1998 serve to highlight the vulnerability of this industry to both internal and external shocks on the demand and supply side. Given the dominance of the sector in the overall modern economy of Bangladesh, this vulnerability should be a matter of some concern to the policymakers in Bangladesh. Although in gross terms the sector’s contributions to the country’s export earnings is around 74 percent, in net terms the share would be much less partially because the backward linkages in textile have been slow to develop. The dependence on a single sector, no matter how resilient or sturdy that sector is, is a matter of policy concern. We believe the policymakers in Bangladesh should work to reduce this dependence by moving quickly to develop the other export industries using the lessons learned from the success of apparel exports. Support for the apparel sector should not be reduced. In fact, another way to reduce the vulnerability is to diversify the product and the market mix. It is heartening to observe that the knit products are rapidly gaining share in overall garment exports as these products are sold in quota-free markets and reflect the strength of Bangladeshi producers in the fully competitive global apparel markets. Preliminary data and informal evidence indicate that this sector seems to have weathered the devastating floods relatively well. The industry is one hundred percent export-oriented and therefore insulated from domestic demand shocks; however, it remains vulnerable to domestic supply shocks and the smooth functioning of the banking, transportation and other forward and backward linkage sectors of the economy. The Dhaka-Chittagong road remains the main transportation link connecting the production units, mostly situated in and around Dhaka and the port in Chittagong, where the raw material and the finished products are shipped in and out. Despite increased dependence on air transportation, trucks remain the main vehicles for transporting raw materials and finished products for Bangladesh garment exports. The floods disrupted the normal flow of traffic on this road. Eventually, this road link was completely severed for several days when large sections of the road went under water for a few weeks during the latter phase of the floods. This delinking of the road connection between Dhaka and the port in Chittagong was as serious a threat as one can imagine for the garment exporters. The industry responded by calling upon the Bangladesh navy to help with trawlers and renting a plane from Thai Air that was used to directly fly garment consignments from the Dhaka airport to the Chittagong airport several times a day. RMG business started in the late 70s as a negligible non-traditional sector with a narrow export base and by the year 1983 it emerged as a promising export earning sector; presently it contributes around 75 percent of the total export earnings. Over the past one and half decade, RMG export earnings have increased by more than 8 times with an exceptional growth rate of 16.5 percent per annum. In FY06, earnings reached about 8 billion USD, which was only less than a billion USD in FY91. Excepting FY02, the industry registered significant positive growth throughout this period. History In 1888, New York state factory inspectors provided the following description of sweat-shops: “In New York city, in the tenement house districts where clothing is manufactured, there exists a system of labor which is nearly akin to slavery as it is possible to get. The work is done under the eyes of task-masters, who rent a small room or two in the rear part of an upper floor of a high building, put in a few sewing machines, a stove suitable for heating irons, and then hire a number of men and women to work for them.” Explicit in the inspectors’ definition of a sweatshop is the exploitation of garment workers by contractors, who forced their workers to labor for long hours only to be paid insufficient wages. In addition to physically sweating as a result of their toil, workers were also “sweated” in the same manner an animal would be milked or bled. By the 1880s, for the most part, seamstresses no longer negotiated work on an individual basis but were subsumed into a system of contracting. Contractors received components of garments that they in turn assembled according to designs. These finished products were returned to the manufacturers and marketed under the company’s label. As a result, manufacturers distanced themselves from the hiring and equipping of a labor force, which became the responsibility of the contractor. Manufacturers paid a set price for each finished garment they received from the contractor, which was considerably lower then they would then charge retail. Consequently, contractors, in order to make any profit, forced longer hours and lower wages on their workers. Contractors, more often than not, exploited fellow immigrants from Eastern and Southern Europe by using social networks and common dialects to hire their labor force. In many instances, a sweatshop would be staffed by workers who all came to America from the same hometown in Europe. The exploitation of the contractor, in his own mind, was justified by the fact that he himself felt exploited by the manufacturers. Furthermore, many new immigrants were willing to take any job offered to them at all, particularly during the economic hardships of the 1890s (See Depression of 1893). The line that contractors straddled between being helpful employers and ruthless exploiter to their fellow countrymen was indeed thin, and varied from shop to shop. Because the equipment necessary for making garments was not cumbersome, most contractors based their sweatshops out of the tenement apartments in which they lived with their family. Within the Lower East Side, there was no pattern as to where one would find a garment sweatshop. Research shows that in one year shops were in existence in tenements along Delancey, Sheriff, Division, Hester, Essex, Ridge, Cherry, Ludlow, Monroe, Mulberry, Mott, Baxter, Pitt, Rivington, Suffolk, Norfolk, Canal, Henry, Cannon, Stanton, East Houston, Attorney, Allen, Eldridge, Bayard, Chrystie, Orchard (No. 180, in addition to 97), Willett, Jefferson, Columbia, Clinton and Madison streets. The shop was run as a family affair. The wife of the contractor would help out by cooking meals (for which the workers had to pay) and attending to other tasks. Everything in the shop served both a domestic and business purpose. Stoves used to heat irons were also used to cook meals. The average sweatshop employed anywhere from four to 30 employees. In 1904, the opening of the New York City subway system and other transportation networks allowed the garment industry to move uptown, and to consolidate workers in more factories. Although sweatshops in tenements remained, factories, such as the infamous Triangle Shirtwaist Factory (see Triangle Shirtwaist Factory Fire) provided more consistent employment. The Evolution of a Garment How the Sweatshop System Worked. Although certain retailers employed “inside” shops, which eliminated contractors and paid sewing machine operators and other workers at a piece-rate to work directly for them, most retailers relied on the system of using “outside” shops organized by contractors. Typically, a designer, either independent or working for a retailer, would design a garment based on the latest fashions (particularly within the women’s clothing industry). Cotton, harvested by underpaid sharecroppers (usually freed African-American slaves and poor Southern whites, who lived in a type of veritable slavery where wages and rent were always manipulated to keep them in debt) was shipped to the giant textile mills of New England and the mid-Atlantic. Textile workers, often poor, underpaid immigrants working their own long hours, converted the fiber into fabric. Retailers purchased the fabric from the mills, and redistributed the material to a cutting contractor, who would be paid a piece-rate to cut the material into the garment design. Upon receiving the cut designs, the retailer would re-contract the material, this time to a sewing contractor (i.e. Harris Levine). Often the system of contracting was highly diversified with each sweatshop performing a specialized task. A single clothing firm might employ as many as 75 different contractors to work on their clothing line. Sewing Machine Operator – Might have experience working as a tailor in Europe, almost always a man. Often the operator was the contractor himself, who employed the workers in the sweatshop. Baster – Prepared the garments for the operator by fitting the pieces together. Finisher – Responsible for adding the finishing touches to the garment by hand; mostly women in teens and early 20s. Because the finisher was often the only woman in the sweatshop, she might suffer sexual harassment from her male co-workers. As a result, many preferred to work with predominantly women workforces in factories or to get married and leave the shop. Presser – Always a male as he had to lift the heavy irons, which weighed up to 20 pounds. Usually an elderly male. First person accounts from workers in the sweatshops cite that many of the pressers were Orthodox Jews. Generally the garment industry responded to the seasonality of the fashion industry, in which there was a “high” and a “slack” season. (Researchers for the sourcebook were unable to determine whether the seasons of the garment industry adhered to the actual calendar months, or followed only the trends of supply and demand.) During the high season contractors forced workers to labor for even longer hours than usual, in order to meet the demand that had been created by the issue of the latest fashion. During the slack season, sweatshop workers would find themselves jobless or sitting around idle, unable to earn wages because a lack of pieces that they could complete. There is a popular misconception that sweatshops no longer operate in the United States, and exist only as a problem in “developing” nations that lack unions and other fair practice labor laws. This is in fact false. In 2000, it was estimated that there were 93,000 workers in the New York City garment industry. Of the shops that employed these workers, approximately 60% (7,000-7,500 shops) could be deemed sweatshops in the sense that their operators abused and disregarded laws designed to ensure that workers were treated decently. Even as the 21st century begins, the Lower East Side and adjoining Chinatown remain intricately tied to the garment industry. Along with the Sunset Park area of Brooklyn, many garment shops in Chinatown still work on the system of contracting. Presently, Chinese workers constitute the largest portion of immigrants working in both legal and illegal garment shops, although they are joined by other recent immigrants from the Dominican Republic, Puerto Rico, Vietnam and myriad other nations. Many of the same issues persist. Contractors continue to be recent immigrants themselves and seem to “aid” fellow immigrants by providing a job where they need not speak English, can bring their children to the factory (often to work in violation of child labor laws), and receive payments in cash so as to avoid taxation and possible detection by the Immigration and Naturalization Service (INS). Like their historical counterparts, the contractors still sweat their workers as well. The continued use of the piece-rate system, where workers are paid for each garment produced rather than at a standard hourly rate, ensures that garment workers in sweatshops earn well under the federally mandated minimum wage rate. Chinese sewing machine operators working in Chinatown and Sunset Park often worke anywhere from 60 to 100 (!) hours a week, despite earning only $150 to $400 per week. Furthermore, workers’ wages are often withheld for weeks at a time or altogether, if the contractor decides to abandon his shop and move elsewhere. The influx of numerous illegal immigrants along with immigrants who came to the United States through legal means, further complicates the situation. Illegal immigrants, who are often coerced into paying for their journey on credit, work long hours for clandestine operations. They are worked even more harshly as bosses realize they are unlikely to form unions or level any type of complaints, since many possess deeply rooted fears of attracting the attention of the INS. Consequently, legal immigrants are forced to compete and match the output of illegal immigrants in order to stay employed. The history of the Readymade Garments Sector in Bangladesh is a fairly recent one. Nonetheless it is a rich and varied tale. The recent struggle to realize Workers’ Rights adds an important episode to the story. Below, we present a detailed narration of the evolution of the RMG sector from its humble origins to the present day. The shift from a rural, agrarian economy to an urban, industrial economy is integral to the process of economic development (Kaldor, 1966, 1967). Although policymakers in the least developed countries (LDCs) have, at various times, attempted to make agriculture the primary engine of economic growth and employment generation, this approach has not worked, not least because of the contributions of the Green Revolution, which has had the dual effect of increasing agricultural productivity in the LDCs and displacing the rural labour force at the same time. Led by the example of the East Asian economies, most LDCs now accept the need for greater industrialization as the fastest path to economic growth. In particular, countries such as Japan, Taiwan and South Korea have demonstrated that an export-oriented industrial strategy can not only raise per capita income and living standards in a relatively short time; it can also play a vital role in modernizing the economy and integrating it with the global economic system. Bangladesh, one of the archetypal LDCs, has also been following the same route for the last 25 years. Once derided as a “basket-case” by Henry Kissinger (The Economist, 1996), the country stumbled across an economic opportunity in the late 1970s. New rules had come to govern the international trade in textiles and apparel, allowing low-cost suppliers to gain a foothold in American and European markets. Assisted by foreign partners, and largely unaided by the government, entrepreneurs seized the opportunity and exploited it to the fullest. Over a period of 25 years, the garments export sector has grown into a $6 billion industry that employs over a million people. In the process, it has boosted the overall economic growth of the country and raised the viability of other export-oriented sectors. This essay analyzes the processes by which global trading rules came to help out a poor country like Bangladesh. It demonstrates the impact of the rule changes on the garments sector, and the response of the sector to multiple challenges and obstacles. It also discusses what steps Bangladesh should take in order to deal with the full liberalization of the international garments trade, which occurred in January 2005 and which could potentially threaten the country’s growth prospects. Finally, it details some of the recent developments that have occurred since liberalization took effect. Bangladesh is a tropical country in South Asia that is situated in the delta of two major rivers that flow down from the Himalayas (the Ganges and the Jamuna). The country’s land surface is therefore largely composed of alluvial silt, rendering the soil highly fertile. Historically, this has made Bangladesh an agricultural nation; although agriculture contributes only about a fifth of the national GDP, it employs three-fifths of the labour force (ADB, 2005). Bangladesh has an estimated population of 140 million (circa 2005), living in an area of about 55,000 square miles. It thus has the unwanted distinction of being the world’s most densely populated country, and this overpopulation is at the root of many of Bangladesh’s socioeconomic problems. However, the population is largely homogeneous in terms of ethnicity, language, and religion, and this provides a valuable element of national cohesion. In spite of numerous constraints, the economy has been on a steady growth path for the last 15 years, mainly due to private sector dynamism. The constraints include pervasive political instability and violence, endemic corruption and disregard for the law, frequent natural disasters, inefficient state-owned enterprises that are hotbeds of trade unionism, lack of political will to carry through necessary economic reform, inadequate infrastructure at all levels (power generation, roads and highways, port facilities), etc. Nevertheless, the economy has proved to be resilient. Since 1990, it has grown at an average rate of 5% per year. The Asian Development Bank projects that real GDP growth will increase to 6% in 2006 and 2007 (ADB, 2005). Bangladesh’s total GDP stood at $275 billion in 2004, and per capita GDP was $2,000 (adjusted for purchasing power). Sectorally, services constitute the largest portion of GDP with 51.7%. Industry accounts for 27.1% and agriculture 21.2%. However, the distribution of the labour force is reversed, with most people still working in agriculture (61%), followed by services (27%) and finally industry (12%). This imbalance between output and employment is indicative of a large amount of “disguised” unemployment and underemployment. Unemployment is estimated to be about 40%. The poverty rate, as of 2004, is about 45%. As shown by the above table, merchandise exports have been growing strongly in recent years and this trend is set to continue. While imports also exhibit strong growth, it should be noted that the bulk of imports consists of inputs into the production process, e.g. machinery and equipment, fuel and petroleum products, chemicals, iron and steel, cement, fabric and accessories (for garments production), etc. The breakdown of various exports by sector is given in the table overleaf (Bangladesh Bank, 2005). The figures are for the 2003-2004 fiscal year. Free trade area: A free trade area is an economic integration arrangement in which barriers to trade among member countries are removed. Under this arrangement each participant will seek to gain by specializing in the production of those goods and services for which it has a comparative advantages and importing those goods and services for which it has a comparative disadvantage. One of the best known free trade arrangements is the north American Free Trade Agreement (NAFTA), a free trade area currently consisting of Canada, the Us and Mexico. Trade between the three members of NAFTA is now in the range of &1 trillion annually. Customs Union: A custom Union is a form of economic integration in which all tariffs between member countries are eliminated and a common trade policy toward non member countries is established. This policy often results in a uniform external tariff structure. Under this arrangement, a country outside the union will face the same tariff on exports to any member country receiving the goods. Common Market: A common market is a form of economic integration characteristics by no barriers to trade among member nations, a common external trade policy and mobility of factors of production among member countries. A common market allows reallocation of production resources such as capital, labor, and technology based on the theory of comparative advantage. Example: EU is the successful common market and is now focusing on political integration. Economic Union: An economic union is a deep form of economic integration and is characterized by free movement of goods, services and factors of production between countries and full integration of economic policies. An economic union 1) unifies monetary and fiscal policy among the member nations 2) has a common currency and 3) employs the same tax rates and structures for all members. Political Union: A political union goes beyond full economic integration, in which all economic policies are unified, and has a single government. This represents total economic integration, and it occurs only when countries give up their national powers to leadership under a single government. Trade Creation occurs when members of an economic integration group begin focusing their efforts on those goods and services for which they have a comparative advantage and start trading more extensively with each other. Example: The US and Mexico have an agreement that allows cars to be assembled in Mexico and shipped into the US. As a result, Mexico, a low cost producer, supplies a large number of vehicles sold in America and both countries prosper. Trade Diversion occurs when members of an economic integration group decrease their trade with non- member countries in favor of trade with each other. One common reason is that the removal of trade barriers among member countries makes it less expensive to buy from companies within the group and the continuation of trade barriers with non member countries makes it more difficult for the latter to compete. Thus trade diversion can lead to the loss of production and exports from more efficient non member countries to less efficient member countries that are being protected by tariffs or other barriers. The creation of economic integration groups is beneficial only if trade creation exceeds trade diversion. The foundation of the European Union was laid in 1957 by the Treaty of Rome. The six– Belgium, France, Italy, Luxembourg, the Netherlands and West Germany) nations who created the ECSC were the original founders of what was initially called the European Economic Community and later the European Community. By 1991 six other national joined the EC (Great Britain, Denmark, Greece, Ireland, Portugal, and Spain) and by 1995 Austria, Finland and Sweden were also admitted to the EC which was now renamed the European Union. Formation of a free trade area among the members would be brought about by the gradual elimination of tariffs, quotas, and other trade barriers. Common agricultural policies would be adopted. An investment fund to channel capital from the more advanced regions of the bloc to the less advanced regions would be created. A customs union characterized by a uniform tariff schedule applicable to imports from the rest of the world would be created. These nations formed the European Free Trade Association, whose primary goal was to dismantle trade barriers among its member. The European Council is composed of the heads of state of each EU member country as well as the president of the European Commission. The purposes of these meetings are to resolve major policy issues and to set policy direction. The Council Of Ministers is the major policy decision making body of the EU. The European Commission has 20 members who are chosen by agreement of the member government. France, Germany, Italy, Spain, and the UK have two representatives each, and the other member’s one each. It handles a great deal of the technical work associated with preparing decisions and regulations. The European parliament currently has 630 members. The individual are elected directly by the voters in each member country. The parliament serves as a watchdog on EU expenditures in addition to evaluating other decisions of the Council. The court of Justice has one judge appointed from each EU member country; this court serves as the official interpreter of EU law. Sectors would be required to sell at least 51% of their holdings to local investors over a 15 year period. Mercosur is a free trade group that was formed by Argentina and Brazil in 1988 to promote economic cooperation. Today the group has been expanded to include Paraguay and Uruguay with Chile and Bolivia as associate members. In 1995 the members agreed to a five year program under which they hoped to perfect their free trade area and move toward a full customs union. The Association of Southeast Asian Nations was formed in 1967 and now includes Brunei, Indonesia, Laos, Malaysia, Myanmar, the Philippines, Singapore, Thailand, and Vietnam. This economic bloc is different from most others in that the primary emphasis is not on reducing trade barriers among the members, although this has been done, but rather on promoting exports to other countries. The free Trade Area of the America was re launched in Quebec City in April 2001 to eliminates most trade restrictions. All the economies of North, Central and South America, along with all Caribbean economies have agreed to start the ETAA in 2005. It will be built upon the framework of NAFTA. Bangladesh is currently one of the 12 largest exporters of garments products in U.S.A and U.K. In spite of this, the real situation does not come in front of the world. That is they are not becoming influenced like before any more. We can see this by the price level of our garments products in the world market. The quantity we are exporting is huge but at a very low price. In the statistics the impact may be huge but the condition of Bangladesh is not improving at that satisfactory level. In the term paper we will try to define the cause why the real situation is like this. It is necessary because the sector is very promising in the environment of bbangladesh. Bangladesh has a great comparative advantage in garments products that is low labor cost. Because of this advantage Bangladesh can produce products more easily than other countries. But labor is cheap here because people who are related to this sector are from very poor background. Is this Essay helpful? Join OPPapers to read more and access more than 325,000 just like it! Production of sufficient raw materials in the country. Imparting training to make skilled workers. Removal of export problems etc. The history of the Readymade Garments Sector in Bangladesh is a fairly recent one. Nonetheless it is a rich and varied tale. The recent struggle to realize Workers’ Rights adds an important episode to the story. The RMG industry of Bangladesh has expanded dramatically over the last three decades. Traditionally, the jute industry dominated the industrial sector of the country until the 1970s. Since the early 1980s, the RMG industry has emerged as an important player in the economy of the country and has gradually replaced the jute industry. Although Bangladesh is not developed in industry, it has been enriched in Garment industries in the recent past years. In the field of Industrialization garment industry is a promising step. The sector now dominates the modern economy in export earnings, secondary impact and employment generated. It has given the opportunity of employment to millions of unemployed, specially innumerable uneducated women of the country. It is making significant contribution in the field of our export income. Bangladesh exports 35 types of garment products to about 31 countries around the world. The RMG sector is a 100% export-oriented industry. That Bangladesh today is considered an economic competitor in terms of international garment manufacturing by other countries of the region and beyond is the country since gaining independence in 1971. it appers much of the socio-economic development in the first decade of the twenty-first century for Bangladesh and its approximately 1.5 million women workers depends on the continuing success of the RMG industry. Most of the illiterate women workers employed in garments are unskilled and so their products often become lower in quality. Taking the advantages of workers’ poverty and ignorance the owners forced them to work in unsafe and unhealthy work place overcrowded with workers beyond capacity of the factory floor and improper ventilation. Most of the garment factories in our country lack the basic amenities where our garment workers sweat their brows from morning to evening to earn our countries the major portion of our foreign exchange. Anybody visiting the factory the first impression he or she will have that these workers are in a roost. Improper ventilation, stuffy situation, filthy rooms are the characteristics of the majority of our factories. The owners profit are the first priority and this attitude has gone to such an extent that they do not care about their lives. There are some other problems which are associated with this sector. Those are- lack of marketing tactics, absence of easily on-hand middle management, a small number of manufacturing methods, lack of training organizations for industrial workers, supervisors and managers, autocratic approach of nearly all the investors, fewer process units for textiles and garments, sluggish backward or forward blending procedure, incompetent ports, entry/exit complicated and loading/unloading takes much time, time-consuming custom clearance etc. In the garment industry in Bangladesh, tasks are allocated largely on the basis of gender. This determines many of the working conditions of women workers. All the workers in the sewing section are women, while almost all those in the cutting, ironing and finishing sections are men. Women workers are absorbed in a variety of occupations from cutting, sewing, inserting buttons, making button holes, checking,cleaning the threads, ironing, folding, packing and training to supervising. Women work mainly as helpers, machinists and less frequently, as line supervisors and quality controllers. There are no female cutting masters. Men dominate the administrative and management level jobs. Women are discriminated against in terms of access to higher-paid white collar and management positions. When asked why they prefer to emply women foe sewing, the owner and managers gave several reasons. Most felt that sewing is traditionally done by women and that women are more patient and more controllable than men. The government of Bangladesh sets minimum wages for various categories of workers. According of Minimum Wage Ordinance 1994, apprentices’ helpers are to receive Tk500 and Tk930 per month respectively. Apprentices are helpers who have been working in the garment industry for less than three months. After three months, Apprentices are appointed as helpers. Often female helpers are discriminated against in terms of wages levels, and these wages are also often fixed far below the minimum wage rate. A survey conducted in 1998 showed that 73% of female helpers, as opposed to 15% of their male counterparts, did not receive even the minimum wage. Insufficiency of loan in time, uncertainly of electricity, delay in getting materials, lack of communication, problem in taxes etc. Often obstruct the industry. In the world market 115 to 120 items of dress are in demand where as Bangladesh supplies only ten to twelve items of garments. India, south Korea, Hong Kong, Singapore, Thailand, Taiwan etc, have made remarkable progress in garments industries. Bangladesh is going to challenge the garments of those countries in the world market. Bangladesh has the cheapest unit labor cost in South Asia. It costs only 11 cents to produce a shirt in Bangladesh, whereas it costs 79 cents in Sri Lanka and 26 cents in India. Clearly, Bangladesh’s comparative advantage lies in having the cheapest unit labor cost. Though the wages are low, the working hours are very long. The RMG factories claim to operate one eight-hour shift six days a week. The 1965 factory Act allows women to work delivery deadlines; however, women are virtually compelled to work after 8 o’clock. Sometimes they work until 3 o’clock in the morning and report back to start work again five hours later ar 8 o’clock. They are asked to work whole months at a time the Factory Act, which stipulates that no employee should work more than ten days consecutively without a break. As most of the garment workers come from the poor family and comes from the remote areas and they have to attend to the duties on time, these workers have to hire a room near the factory where four to five huddle in a room and spend life in sub human condition. For four to five workers there is one common latrine and a kitchen for which they have to pay from Tk=2000 to Tk=2500/-.They share this amount among themselves to minimize the accommodation expense. One cannot believe their eyes in what horrible condition they have to pass out their time after almost whole day of hard work in the factory. After laborious job they come into their roost, cook their food and have their dinner or lunch in unhygienic floor or bed and sleep where they take their food. They share the single bed or sleep on the floor. The owners of these factories must not treat the workers as animals. The owners of these factories who drive the most luxurious car and live in most luxurious house do ever think that these are the workers who have made their living so juicy. Will these selfish owners ever think of these workers of their better living for the sake of humanity by providing better accommodation for these workers in addition to providing with the job. Garments industries often pay dearly for political unrest, hartal and terrorism etc. The international market has withdrawn quota advantage over garments export form Bangladesh since December 2005. Bangladesh has to advance cautiously for getting better position of her garments in the world market. Finally destruction of twin tower in 11 September 2001. invasion on Afghanistan and Iraq and depression in world Economy have seriously affected the export trade of Bangladesh. China and some other competitors of Bangladesh have implemented sharp price-cutting policies in exporting garment products over the last few years, but Bangladesh has failed to respond effectively to such policies. China was able to drop the export price of 29 garment categories by 46 per cent on average in the United States within a year, from $6.23 per sq metre in December 2001 to $3.37 per sq metre in December 2002. Bangladesh needs to respond to such price-cutting policies of its rivals in order to remain competitive in the quota-free global market. Lead time refers to the time required for supplying the ordered garment products after the export order has been received. In the 1980s, the usual lead time in the garment industry was 120-150 days for the main garment supplier countries of the world; it has been reduced to 30-40 days in the current decade. However, in this regard the Bangladesh RMG industry has improved little; for example, the average lead time is 90-120 days for woven garment firms and 60-80 days for knit garment firms. In China, the average lead time is 40-60 days and 50-60 days for woven and knit products respectively; in India, it is 50-70 days and 60-70 days for the same products respectively. Bangladesh should improve its average lead time to compete in the international market. The Ready-Made Garments (RMG) industry occupies a unique position in the Bangladesh economy. It is the largest exporting industry in Bangladesh, which experienced phenomenal growth during the last 25 years. Bangladesh fears that its current political turmoil may lead to its garment industry losing out to South and Southeast Asian competitors, including India. Bangladesh’s prime export earnings, next only to India ($12 billion) with an annual turnover of $8 billion and rising at a rate of 30 percent rate, could dip if the Jan 22 general elections do not bring back political stability. Political turmoil combined with labour trouble that erupted frequently during 2006 has adversely affected the garment industry. Over 200 of the 600-plus factories were damaged or destroyed during an agitation last summer. Exports and even manufacture of readymade garments have suffered due to the rail-road-port blockade that marked last two months of agitation, upsetting commitments made to foreign buyers, who have begun to look elsewhere. Among them is Van Heusen, a major brand that has shifted 30 percent of its requirements elsewhere, according to Bangladesh Garment Manufacturers and Exporters Association (BGMEA) chief S.M. Fazlul Hoque. “The declining trend of RMG (readymade garments) exports as observed during the October-December quarter this fiscal would be felt further in the next January-March quarter,” he told The Daily Star. He alleged an international conspiracy to shift the export orders from Bangladesh to somewhere else on the pretext of political uncertainty in the country.”It will be difficult to retain the position as a RMG exporting country unless normalcy is back in the political arena,” Annisul Huq, a former BGMEA chief, said. Sources in the apparel sector said India earned $12 billion from apparel exports, while Pakistan earned $3 billion, Sri Lanka $4 billion, Cambodia $2.2 billion, Vietnam $5 billion and Nepal nearly $1 billion last year. According to industry insiders, although Bangladesh is well ahead of many south Asian RMG exporting countries like Sri Lanka, Pakistan, Indonesia, Vietnam and Nepal, a sharp rise is anticipated in exports from those countries and it is imminent that they emerge as strong competitors.The exporters claimed that the country could achieve a tremendous growth in garments export if the political situation and seaport remain normal. Bangladeshi RMG products are mainly destined to the US and EU. Back in 1996-97, Bangladesh was the 7th and 5th largest apparel exporter to the USA and European Union respectively. The industry was successful in exploring the opportunities in markets away from EU and US. In FY07, a successful turnaround was observed in exports to third countries, which having a negative growth in FY06 rose three-fold in FY07, which helped to record 23.1 percent overall export growth in the RMG sector. It is anticipated that the trend of market diversification will continue and this will help to maintain the growth momentum of export earnings. At the same time a recent WTO review points out that Bangladesh has not been able to exploit fully the duty free access to EU that it enjoys. While this is pointed out to be due to stringent rules of origin (ROO) criteria, the relative stagnation in exports to EU requires further analysis. The growth pattern of RMG exports can be categorized into two distinct phases. During the initial phase it was the woven category, which contributed the most. Second phase is the emergence of knitwear products that powered the recent double digit (year-on-year) growth starting in FY04. In the globalized economy and ever-changing fashion world, product diversification is the key to continuous business success. Starting with a few items, the entrepreneurs of the RMG sector have also been able to diversify the product base ranging from ordinary shirts, T-shirts, trousers, shorts, pajamas, ladies and children’s wear to sophisticated high value items like quality suits, branded jeans, jackets, sweaters, embroidered wear etc. It is clear that value addition accrues mostly in the designer items, and the sooner local entrepreneurs can catch on to this trend the brighter be the RMG future. If Bangladesh wants to enjoy increased market access created by the global open market economy it has no alternative but to produce textile items competitively at home through the establishment of backward linkage with the RMG industry. To some extent the industry has foreseen the need and has embarked on its own capacity building. It is plausible that domestic entrepreneurs alone may not be able to develop the textile industry by establishing modern mills with adequate capacity to meet the growing RMG demand. It is important to have significant flow of investment both in terms of finance and technology. Figure 3 indicates that the investment outlook in this sector is encouraging, although the uncertainties before the MFA phase-out period caused a sluggish investment scenario. In part the momentum in the post-MFA phase-out period is indicative of the efforts underway towards capacity building through backward integration. This is evident in the pace of lending to the RMG sector and in the rising import share of RMG related machinery. However further progress would be necessary to improve and sustain competitiveness on a global scale. Government of Bangladesh has played an active role in designing policy support to the RMG sector that includes back-to-back L/C, bonded warehouse, cash incentives, export credit guarantee scheme, tax holiday and related facilities. At present government operates a cash compensation scheme through which domestic suppliers to export- oriented RMG units receive a cash payment equivalent to 5 percent of the net FOB value of exported garments. At the same time, income tax rate for textile manufacturers were reduced to 15 percent from its earlier level for the period up to June 30, 2008. The reduced tax rates and other facilities are likely to have a positive impact on the RMG sector. The existence of sound infrastructural facilities is a prerequisite for economic development. In Bangladesh, continuing growth of the RMG sector is dependent on the development of a strong backward linkage in order to reduce the lead time. However, other factors constraining competitiveness of Bangladesh’s RMG exports included the absence of adequate physical infrastructure and utilities. The country has no dedicated research institute related to the apparel sector. RMG is highly fashion oriented and constant market research is necessary to become successful in the business. BGMEA has already established an institute which offers bachelor’s degree in fashion designing and BKMEA is planning on setting up a research and training institute. These and related initiatives need encouragement possibly intermediated by donor-assisted technology and knowledge transfer. A facilitating public sector role can be very relevant here. In contrast to the public sector-led import-substituting industrialization strategy pursued during the first few years after independence, the industrialization philosophy of the government changed rather dramatically from the late 1970s when the emphasis was on export-oriented growth to be spearheaded by the private sector. Towards this end, various policy reforms were implemented in the 1980s and 1990s. Some of these reformed policies contributed considerably to the growth of the RMG industry in Bangladesh. During the 1980s, a number of incentives were introduced to encourage export activities. Some of them were new like the Bonded Warehouse Facility (BWF), while others like the Export Performance License (XPL) Scheme 37 were already in operation and were improved upon. Also, rebates were given on import duties and indirect taxes, there were tax reductions on export income, and export financing was arranged. Under the XPL scheme, exporters of non-traditional products received import licenses for specific products over and above their normal percentage allotment based on the f.o.b. value of their exports. Under the Duty Drawback System, exporters of manufactured goods were entitled to get refund of duties and taxes paid on imported inputs used in export production, and also all excise duties paid on exported finished goods. For certain fast-moving items such as RMG, a notional system of duty payments was adopted in 1982-83. Under this system, exporters were exempted from paying duties and taxes on imports used in export production at the time of importation, but were required to keep records of raw and 21packaging materials imported. The duties and taxes payable on the imports were kept in a suspense account. Liabilities to pay the amounts in suspense were removed on proof of exports. The discussion in this section clearly points to the positive contribution made by policy reforms to the growth of the RMG industry in Bangladesh. In particular, two policies– the SBW facility and the back-to-back L/C system- led to significant reduction in cost of producing garments and enhanced competitiveness of Bangladesh’s garments exports. It also allowed garment manufacturers to earn more profit which, when necessary, could be used to overcome difficulties arising from weak governance. Furthermore, poor governance, reflected in the leakage of duty-free imported fabrics in the domestic market, paradoxically enough also helped the garment manufacturers to earn extra ‘profit’ and thereby enabled them to absorb the ‘high cost of doing businesses – a fall out of bad governance. Bangladesh economy at present is more globally integrated than at any time in the past. The MFA phase-out will lead to more efficient global realignments of the Garments and Clothing industry. The phase out was expected to have negative impact on the economy of Bangladesh. Recent data reveals that Bangladesh absorbed the shock successfully and indeed RMG exports grew significantly both in FY06 and (especially) in FY07. Due to a number of steps taken by the industry, Bangladesh still remains competitive in RMG exports even in this post phase-out period. Our Garments Industries can improve their position in the world map by reducing the overall problems. Such as management labor conflict, proper management policy, efficiency of the manager, maintainable time schedule for the product, proper strategic plan etc. Government also have some responsibility to improve the situation by providing- proper policy to protect the garments industries, solve the license problem, quickly loading facility in the port, providing proper environment for the work, keep the industry free from all kind of political problem and the biasness. Credit must be provided when the industry fall in need. To be an upper position holder in the world Garments Sector there is no way except follow the above recommendations. We hope by maintaining proper management and policy strategies our country will take the apex position in future. Doors should not open on the steps and sufficient space should be provided. The Ready-Made Garments (RMG) industry occupies a unique position in the Bangladesh economy. It is the largest exporting industry in Bangladesh, which experienced phenomenal growth during the last 25 years. By taking advantage of an insulated market under the provision of Multi Fibre Agreement (MFA) of GATT, it attained a high profile in terms of foreign exchange earnings, exports, industrialization and contribution to GDP within a short span of time. The industry plays a key role in employment generation and in the provision of income to the poor. To remain competitive in the post-MFA phase, Bangladesh needs to remove all the structural impediments in the transportation facilities, telecommunication network, and power supply, management of seaport, utility services and in the law and order situation. The government and the RMG sector would have to jointly work together to maintain competitiveness in the global RMG market. Given the remarkable entrepreneurial initiatives and the dedication of its workforce, Bangladesh can look forward to advancing its share of the global RMG market.